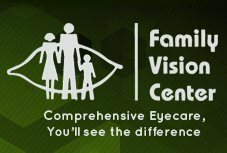 Family Vision Clinic in Hobbs, NM, has been providing eyecare to the Southeastern New Mexico and West Texas since 1977. A family owned practice, Drs. Reber and Reber added the Q-2100 and nanoCLEAR AR unit after attending the South West Council of Optometry trade show where the technology was shown. Miguel Flores, Lab Technician, was tasked with operating the new in-office lens system. According to Flores, “we no longer use the old, loud surfacing generator to make our FT and progressive lenses as this outdated way of making them was time consuming and many mistakes could be made.” “Now with theQ-2100 it takes but a few minutes to get the CFL progressive lenses ready for the customer and there are fewer errors as the computer gives us the corrects molds to use,” he added. “The lenses are very accurate and patients are very happy with their lenses and they keep coming back,” concluded Flores.